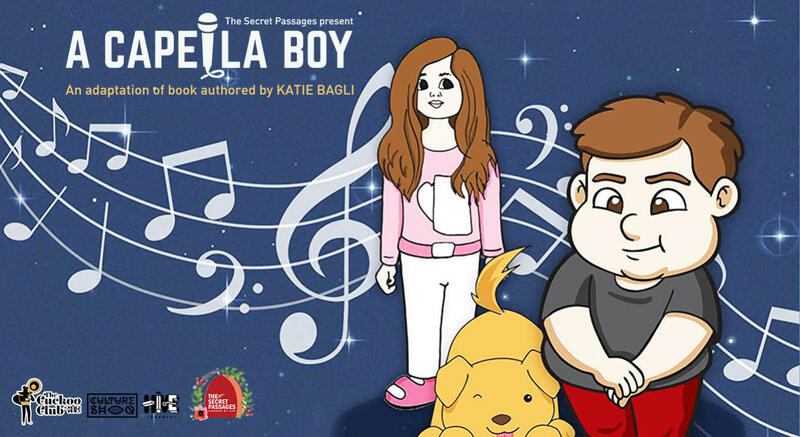 Secret Passages Storytellers present the dramatization of a lyrical & rhytymic play which is based on Katie Bagli’s “A Capella Boy”. Sameer, a young boy of ten years, is not like all other normal children. He will never be able to read and write. His speech is slurred and incoherent. His mother has given up trying to get Sameer educated. But a young girl of his age, Dipti, enters his life. She discovers this amazing talent in Sameer, his ear for music and ability to produce a Capella music – the exact sounds of musical instruments with his own voice. There is no looking back after that – Sameer turns into a famous musician, a star. The story shows that everybody has in him or her, a spark. It only needs to be recognized and ignited into a flame. After the play we have the story harvest with activities that create mindfulness -enables children to connect with each other and carry the message of the play. They also gain from our community thus creating collaborative learning spaces.